Birdsong is a new take on Baroque music inspired by birds. Much loved duos and trios by Couperin, Boismortier, Biber, Hotteterre are interspersed with the soundscapes of the lush Australian bush which sourced the very first birdsong. 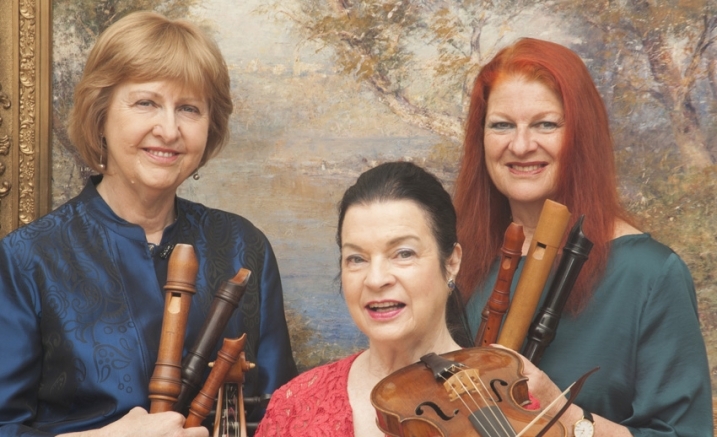 New works by Ros Bandt have brought the magnificent sounds of Australian magpies through Ruth’s recorder and the touching story of abandoned baby kestrels in Fratta (Italy) for solo baroque violin. With Jim Atkins, Sound dispersion.